The Remington Adult PVC Poncho seals out water and keeps you dry and comfortable during any activity. 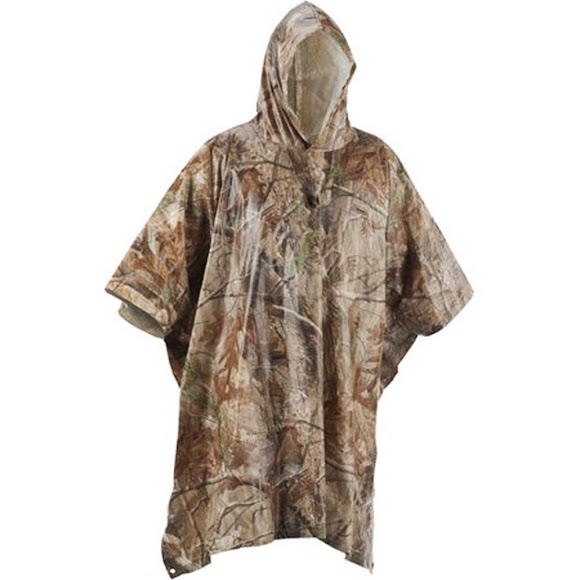 The camouflage pattern makes this poncho ideal for hunters and campers. One Size fits most adults, 50" x 80"